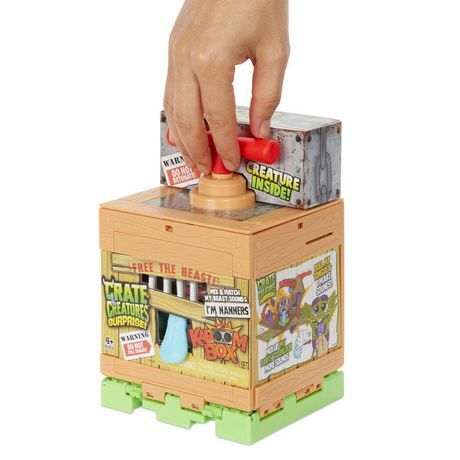 Crate Creatures are now all mixed up - and kids can fix 'em up and mix 'em with Crate Creatures Surprise Kaboom Box! 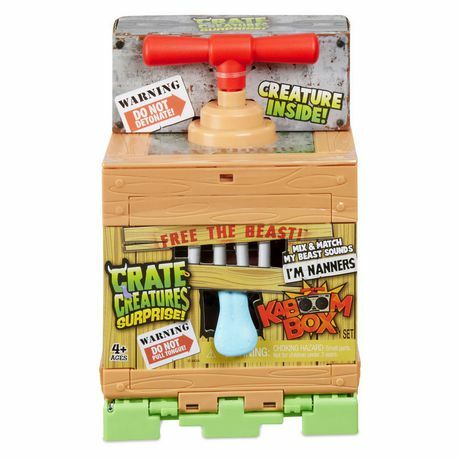 Grab the Kaboom Box handle and "explode" open the Creature's crate - mixed up parts burst out and the re-mixing fun is ready to begin! As kids attach the mixed up arms, legs and more, the Crate Creature will laugh, snort make dozens of funny electronic sounds. And wait until you hear the different sounds he makes when you pull those parts off! With smart sensors, these crazy Creatures can tell the difference between all Kaboom Box parts! Put a leg where an arm should be? Combine a different Kaboom Box Creature character's set of mixed up parts? Your Crate Creature knows the difference, and will unlock more secret sounds for hours of repeat and discovery play! Collect and combine them all! Each Crate Creatures Surprise Kaboom Box comes with 6 monster parts and replayable Kaboom Box crate! 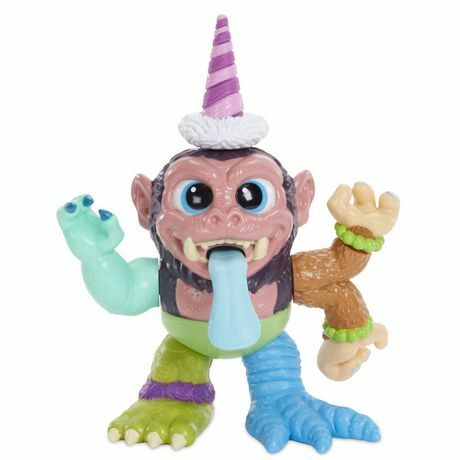 • Create, mix and re-mix your own crazy Crate Creature pal! • Wacky Electronic Sounds: pull his tongue or pull off his arms, legs and parts to hear dozens of snorts, laughs and funny noises! • Smart Sensors: each Kaboom Box creature knows which part you've added - and which one you've just yanked off of him! • Collect & Combine: the Kaboom Box creature can even tell the difference between arms, legs and parts from other Kaboom Box Creatures! Unlock different, secret sounds with every new combination! 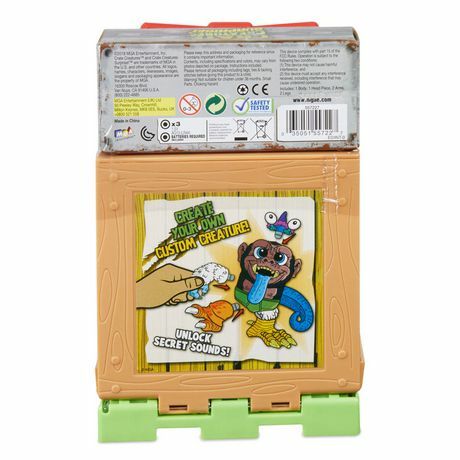 • "Explosive" Packaging: grab the handle of the Kaboom Box and "explode" it open, and the Creatures' parts pop out! Replayable and reusable, again and again.